17 qt Bella Turkey Roaster on sale for $24.99!! October 12, 2018 9:03 am By Lori Post contains sponsored/affiliate links and I get commissions for purchases made from links. As an Amazon Associate I earn from qualifying purchases. Those Holiday dinners are coming up and what better way to prepare yourself by getting new cooking gadgets? I’m always busy in the kitchen during the holidays whether I’m mashing potatoes, makings jams, and especially roasting turkeys. I’m so happy I bought my Bella turkey roaster. It can hold over 17 quarts of food. It has over 5 preset functions where you are roasting a full-sized turkey, baking pizza, or toasting bagels. The temperature of this Turkey roaster ranges for 150 degrees to 450 degrees which are perfect for roasting turkeys. It is even equipped with a self-basting lid, so you can save time. It’s easy to clean with its easy-lift wire rack as well as a removable cooking pan. You can prepare for all those turkey dinners this holiday season with this Bella Turkey roaster on sale. Best Buy is having a one day sale today, October 12, for the Bella Turkey roaster on sale for $24.99 Reg: $50. This is an amazing deal on such a great turkey roaster for the holidays coming up. This would be a great gift for yourself or any cooking hobbyist that you know. The Bella Turkey roaster on sale is bound to sell out! Snag this Bella turkey roaster on sale for $24.99 today! October 11, 2018 4:21 pm By Lori Post contains sponsored/affiliate links and I get commissions for purchases made from links. As an Amazon Associate I earn from qualifying purchases. If you cut men’s hair or do fun shaved designs or you want your husband to shave that lumberjack beard off then you should look into Wahl Clipper Color Pro Cordless Rechargeable Hair Clippers. This cool hair clipper is rechargeable and while still being a cordless clipper. It even has a full set of color-coded attachment guards that help you decide the correct length of a trim. The clipper’s rechargeable battery has a run time of up to 60 minutes and can be used with or without a cord for whenever you are using it. It even includes removable stainless steel blades for precise cuts and easy cleaning. This clipper has a versatile world-wide voltage (110 – 240V) for when you are using it at home or anywhere else you travel too! The total Wahl Clipper Color Pro Cordless Rechargeable Hair Clippers set includes 21 pieces including the rechargeable clipper, clipper blade cover, 12 color-coded attachment guards, two hair combs, scissors, blade detail cleaning brush, blade oil, and convenient soft storage case. This sweet Wahl Clipper Color Pro Cordless Rechargeable Hair Clippers kit even comes with instructions if you ever need reference how it works. Today you can Wahl Clipper Color Pro Cordless Rechargeable Hair Clippers set on sale today! Amazon has got this Wahl Clipper Color Pro Cordless Rechargeable Hair Clippers set on sale for $21.99! For all that is included in this set that is a steal! Save money and bring the barber shop home and save cash with this top of the line clippers. TheseWahl Clipper Color Pro Cordless Rechargeable Hair Clippers set on sale would be a great gift for somebody in hair styling or for the everyday man that uses clippers. Get this Wahl Clipper Color Pro Cordless Rechargeable Hair Clippers set on sale today! October 11, 2018 3:56 pm By Lori Post contains sponsored/affiliate links and I get commissions for purchases made from links. As an Amazon Associate I earn from qualifying purchases. CoverGirl is always the first brand I consider when buying make-up. I absolutely love with Easy Breezy Brow, I can never leave my house without my eyebrows filled in. 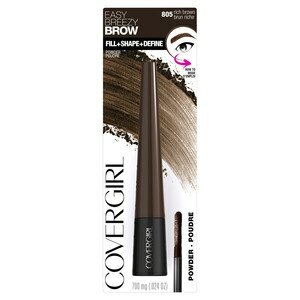 All the beauty enthusiasts have a treat today, you can CoverGirl cosmetics on sale! CVS has a great deal for all the Cover Girl lovers. Next week on 10/14 you can get $5 ECB for buying 2 CoverGirl cosmetics. You will only be able to use it once, but you can get 2 Easy Breezy Brow for 19¢ each! Final Price: 38¢ total or 19¢ each! October 11, 2018 1:18 pm By Lori Post contains sponsored/affiliate links and I get commissions for purchases made from links. As an Amazon Associate I earn from qualifying purchases. Kohl’s Cuddl Duds Printed Plush Sherpa Fleece Throw on sale! The cold nights are coming and warm through is exactly what is needed. I love to stock up on blankets and throws for the winter. 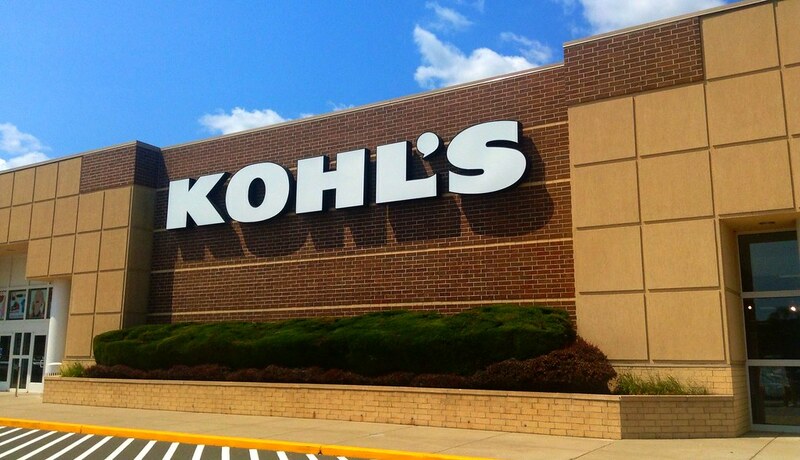 Kohl’s is where I buy my blankets for whenever I need some super cute blankets on sale last minute. Today, Cuddl Duds Plush Sherpa Fleece Throw is on sale. They are 50″ x 60″ super soft and made out of plush sherpa fleece for maximum warmth. Perfect for those cold nights in front of the fireplace. They also come in so many cute designs. My favorite pattern is the snowman. I can’t wait to snag one for myself this winter. Get yourself a Cuddl Duds Plush Sherpa Fleece Throw on sale for this winter. Kohl’s has got these Cuddl Duds Plush Sherpa Fleece Throw on sale for just $29.99, but you can get them on sale today for just $17.49.Use the promo code: HARVEST30 available for Kohl’s Cardholders to save 30% off. Go ahead and buy 2 and get an awesome $10 off $50 home purchase with promo code HOME10. You can also score you free shipping with promo code MVCFREEOCT, which will lower u these Cuddl Duds Printed Plush Sherpa Fleece Throws for only $17.49 shipped. Cuddl Duds Plush Sherpa Fleece Throw is usually $50 each. These throws are bound to sell out. These would be great to get yourself and your family through the winter or a great gift for Christmas! Get these Cuddl Duds Plush Sherpa Fleece Throw on sale before they sell out! 70% off Ralph Lauren pillows at $7.99 each! October 11, 2018 12:11 pm By Lori Post contains sponsored/affiliate links and I get commissions for purchases made from links. As an Amazon Associate I earn from qualifying purchases. I don’t know about you, but I’m at least 2 pillow person. I love getting nice high-quality pillows to rest my head on. I always get my pillows at Macy’s because they have great sales on bedding. Luckily today they have Ralph Lauren pillows on sale. Ralph Lauren’s pillows are made with soft cotton and filled with 18 0z of polyester fiberfill. They are measured at 20″ x 28″ which is perfect for stomach sleepers! They are machine washable as well! You can your very own Ralph Lauren pillows on sale today! Macy’s has these awesome Ralph Lauren pillows on sale for $7.99 each! These pillows are originally $20 each! I’m definitely going to head over to Macy’s later to get me some new comfy pillows! These Ralph Lauren pillows on sale are definitely going to sell out! Snag yourself a pair of comfy Ralph Lauren pillows on sale before it’s too late! October 11, 2018 11:42 am By Lori Post contains sponsored/affiliate links and I get commissions for purchases made from links. As an Amazon Associate I earn from qualifying purchases. Everyone needs a good frying pan to get the most flavor out of your food. Whether you like to cook omelets, stir-fries, or steaks an awesome T-Fal non-stick frying pan does the job. These 3-pack T-Fal non-stick frying pans come in the sizes: 8″, 10.5″, and 12.” They are even equipped with a Thermo-Spot indicator that shows when the pan is properly preheated. These aluminum based pans are safe for metal utensils and are safe in your dishwasher at home. They even have ergonomic handles on the ends for your comfort and safety. I couldn’t live without my T-Fal non-stick frying pans. Today, you can get a 3-piece T-Fal non-stick frying pans on sale. Macy’s has got you covered with these 3-piece T-Fal non-stick frying pans on sale for a total of $14.99. This 3-piece frying pan set is regularly $60. This amazing deal is a limited-time offer and expires on the 14th. This would be a great gift for somebody for Christmas or you can prepare yourself for all those holiday meals and all the meals to come. Buy these 3-piece T-Fal non-stick frying pans on sale before this offer ends!! October 10, 2018 4:34 pm By Lori Post contains sponsored/affiliate links and I get commissions for purchases made from links. As an Amazon Associate I earn from qualifying purchases. Brother Laser copier and printer on sale! I definitely could not live without my printer. Whether you are working or not, it is essential to have a printer. Whether you like to print documents, photos or coupons haha it’s great to have a good printer handy. Luckily, The Brother Digital Multifunction Copier offers the printing and scanning features you need. including 2-sided printing and the ability to handle multiple sizes of paper. That means you can print out on card stock, envelopes, and more, to allow you to create those invitations for any occasion. It also has a has a 250-sheet paper capacity, so you don’t have to buy paper often. It can print and scan up to 50-sheet at a time automatically! It also has a built-in Ethernet network interface to allow multiple to print on the computer or a manually connecting to one computer. You may not even need that part because you can send it from your phones, tablets, and laptops. The Brother customer service is impeccable and you’ll always have help figuring out all of its features or any issues if you have any. This is perfect for the everyday person and you can buy for your small business or office. This amazing Brother Laser copier and printer is on sale today! Amazon has got this super awesome Brother Laser copier and printer on sale for just $99.99! This Brother Laser copier and printer is usually $159.99! This is an awesome deal for this essential Brother Laser copier and printer! This would be a great Christmas gift for your recent grad to save on printing in college. I know I wish I had one or a great gadget for your home or office. Snag this Brother Laser copier and printer on sale today!